Filipino Youth Computer Addiction: Filipino Youth Addicted to MMORPG. This is the exact statement of a student who was scolded by his father after he was caught playing an online game during the times he should be in class. Computer addiction could be very alarming as told by the experts in Human Behavior, but have they asked why the children of today is pulled into the game? 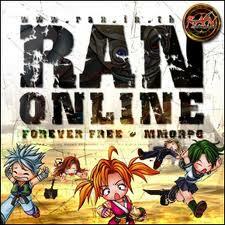 Filipino Youth Addicted to MMORPG. There is a current phenomena that is happening today. This concerns our Filipino Youth and their ADDICTION to MMOPRGs (Masively Multiplayer Online Role Playing Games). I said addiction because these types of online games are addicting. When a person plays one of these games, he or she is hooked into a fantasy world which separates the person from the real world; neglecting school, real life socialization and interaction with real world. The players in these games play up to between 10-20 hrs a day. If you visit internet cafes all over the Philippines, you will notice that most young people from the age of 8 to 30 are hooked into playing online games. A lot of these young people do not go to school anymore just to play. And parents don't have knowledge that this problem has been going on. In USA, parents get so much information about the problem because the Media got involved. Parents started monitoring their kids' internet usage, installing software that will cut-down the time of their kids' online gaming. However, in the Philippines it is a different story since Parents aren't informed. I think, this is now the time to inform the Public that such problem occurs. These games are not just addictive but also they get money from the players. Gaming publishers say that the games they publish are "Free To Play" with no monthly fee, But, there are micro payments. Players are partially required to buy Items from the Cash Shop, and most game publishers are taking advantage on this part making huge profit from our poor young people. Parents worked hard to give their kids allowances, and yet their kids use his/her allowance for the game. Playing these games may also be viewed unhealthy. In one occasion, a kid from New Zealand collapsed for playing 16 hrs straight without eating and much needed rest. Game companies and publishers usually wash hands when asked about the issue. In the Philippines there are only Two Game publishers that I know of. 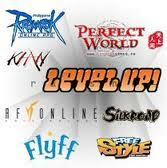 LevelUp Games Inc. and IP-Egames Philippines. "STUDY FIRST,MANAGE YOUR TIME,ASK GOD'S HELP AND THINK WHAT'S YOUR FUTURE IT IS"